Mostly, people use the words, saving and investing interchangeably, but in fact, they are two completely different terminologies. In order to meet your financial objectives, it is important for you to learn the difference between the two to ensure that both are done within budget and according to plan. The saving is actually the money that is kept aside in a secure place, and you have access to that money at any time. For example, the money you place in your savings account, certificates of deposits and checking accounts. It is the excess cash that you save out of your earnings. This way, it automatically becomes a part of your budget. Investing, on the other hand, is one step ahead of saving. Once, you get to save enough cash in your account, you can start investing that cash in different financial platforms. The purpose of investing your money is to improve your wealth. You earn a very small percentage of interest on your saving in the savings account, but if you invest the money in stocks, bonds or mutual funds, you get to earn a higher rate of interest on your investment, and with the passage of time, your investment will start generating more money than you actually invest. Although, when you save your money, you get to secure the nominal value of your savings, yet, the overall wealth actually starts to grow when you invest your money in the financial instruments. 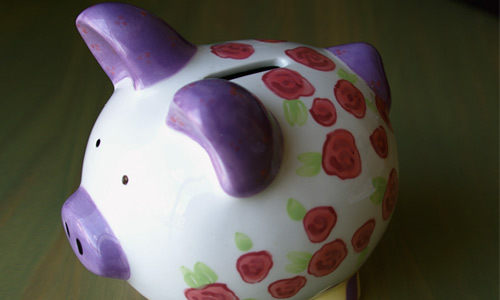 When you save the money, you actually want to secure the cash while maintaining its value. It is actually done to achieve short term financial targets. Therefore, saving does improve the nominal value, but the long-term growth opportunity of your wealth is limited in this case. However, when you invest your cash, your wealth actually grows in value with the passage of time. Individuals, who invest their money, usually reinvest the amount of interest they earn on the invested money. If your financial goals as well as personal goals are far into the future, such as, you need money for your children’s education or after your retirement, then it is better to invest your money as you can achieve more value, by investing your money than saving it in a low risk bank account. There is always a certain amount of risk associated with the money you invest or save. However, the level of risk varies between investment and saving, as it is a known fact in a financial market that “the higher the risk, higher will be the profits.” The more your money is at risk, better are your chances to earn high profits. When you save your money, the level of risk is comparatively lower than the risk of investment, because your money is not exposed to the market participants, and is kept safe in your account. On the other hand, when you invest your money, the level of risk varies from one investment to another. Some assets carry a high degree of risk, while other assets have low risk. With the opportunity to grow your investment comes the risk that your investment may reduce in value. Suitable Options to Invest and Save? Based on your choice to earn a little or no interest, you can save your money in savings account, government securities like bonds, money market mutual funds, certificates of deposit and money market accounts. Whereas, when it comes to investing your money, you can place your money in the commodities market, real estate market, insurance funds, taxable and tax-deferred accounts, and stocks, etc. Always try to find the investment opportunity that is in line with your financial targets and is in accordance with your risk profile, because if you select the investment options that creates uncertainty about the future, it is highly likely that you may have selected the investment profile that is aggressive for your risk tolerance level. The net worth of your wealth is defined by eliminating the debt value from your assets, and so, if the amount of debt increases as quick as you save or invest, then it will be harder for you to improve the value of your wealth. Therefore, always create a budget and stick to it, only then the effective result can be produced from the investment and savings. Hira Waqar. "Difference between Saving and Investing." DifferenceBetween.net. November 3, 2014 < http://www.differencebetween.net/business/investment-business/difference-between-saving-and-investing/ >.